THE STORY - As a young New York couple go from college romance to marriage and the birth of their first child, the unexpected twists of their journey create reverberations that echo over continents and through lifetimes. ​​​“Life Itself” is a film that tries desperately to show there is meaning in our individual lives, but the way it tries to communicate that message falls flat. It veers from snarky cynicism to sappy sentimentality with abandon, occasionally within the same scene. It is one of the few films I have seen that manages to be both completely obvious and a jumbled mess all at the same time. The film has a remarkable cast, and they do their best with the material they are given, but not even Antonio Banderas and Oscar Isaac at their most charming could sell what this film has to offer. Foreshadowing its insufferable drive to have many layers, “Life Itself” opens with a ten-minute recreation of one of the main characters screenplays as a fake out to the audience and then it splits into chapters. 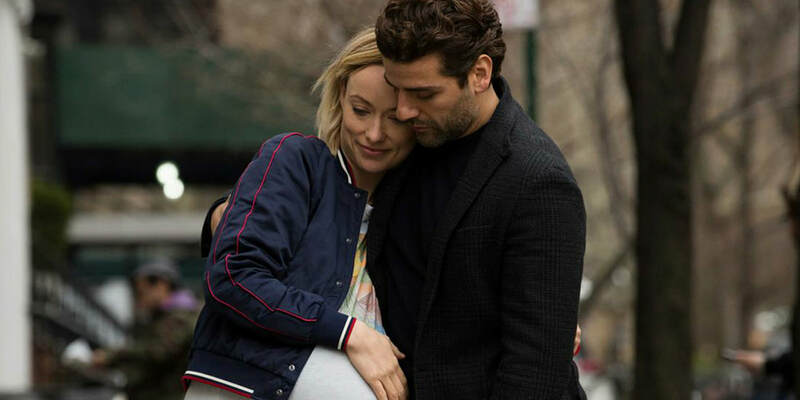 The first shows Oscar Isaac’s Will as a man desperately in love-some might say obsessed-with Abby (Olivia Wilde) a woman he met in college. From the time when he first asks her on a date to the marriage proposal, his overwhelming need for her is clear, so much so that she tells him at one point “I may not be equipped to be loved this much” but despite those misgivings she marries him anyway and the two conceive a child. Many of the scenes show Will in his therapist’s office discussing the tragedy that has befallen the couple and instead of allowing Abby to tell her own story, “Life Itself” has Will describe her entire life and these scenes provide the opportunity to make the first of many monologues that appear throughout the film. The first chapter in the film is probably the longest as it takes on the main burden of setting up the tone and message, but it eventually moves on to a night in the life of the couple’s daughter. She is a punk rock girl who seems to be going through a lot, although she doesn’t get much time to elucidate it for the audience as it leaves most of her feelings up to assumption. All too quickly it moves on to the story of a couple in Spain with a tenuous connection to the previous stories and this is by far the most interesting part of, “Life Itself” despite its one-dimensional characters. It becomes clear about halfway through the film how things will play out and the last 30 minutes of the movie begins to drag as the sentimentality ratchets even higher. “Life Itself” flirts with many different messages and concepts, but it doesn’t take the time to flesh any of them out. It unfolds an examination of the unreliable narrator and attempts to link it with the inherent worth of life’s experiences and a middling to good Bob Dylan song. The four stories it explores are meant to blend together but halfway through the film the tone switches from winking snark with Tarantino-style dialogue to that of a melodramatic soap opera. This drastic change makes them feel like two separate, unfinished films and neither has a satisfying narrative. There will, of course, be people that love this film, at its core is a story that wants to give people hope and a sense of purpose in the darkest times in their lives. It’s just unfortunate that it so clearly fails at providing either as it is so intent on being something more than it is. Too often the characters stare directly into the camera or say witty remarks that feel unnatural for the story. The film takes so many twists and turns with its attempts to keep the audience guessing that it becomes difficult to know what is meant to be a clever joke and what is supposed to be real. In its attempts to find some level of relatable sincerity “Life Itself” completely misses the mark and instead is only able to be overwrought and tiresome.